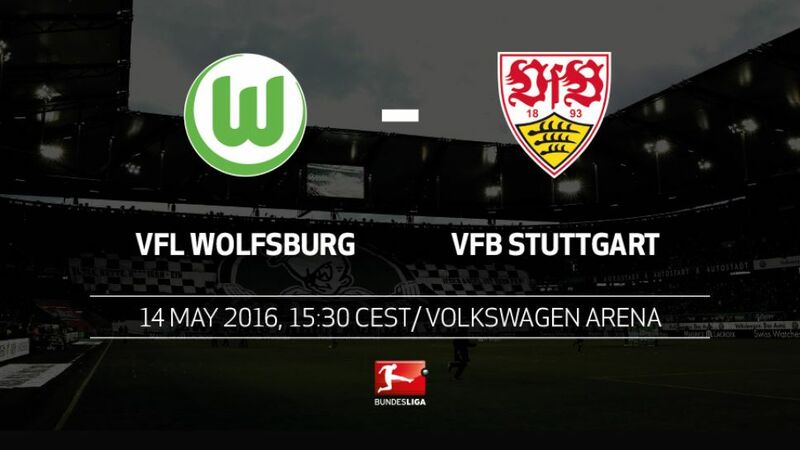 It is a case of win or bust for VfB Stuttgart this Saturday as they travel to VfL Wolfsburg needing three points to keep their Bundesliga survival hopes alive (kick-off 15:30CEST/13:30GMT). Only a win would give Stuttgart any hope of avoiding direct relegation to Bundesliga 2 for only the second time in their history, but even then they are reliant on Eintracht Frankfurt picking up maximum points at SV Werder Bremen. VfL Wolfsburg do not have any such concerns, although they will nevertheless be keen to end the season on a high, even if they cannot climb any higher than their current eighth place. Ten-man VfB Stuttgart moved out of the relegation zone for the first time since Matchday 11 after an impressive 3-1 home win over VfL Wolfsburg. Wolfsburg's 1-0 win at Hamburger SV saw them end a run of seven games without victory.Stuttgart's 3-1 loss to 1. FSV Mainz 05 was their fifth in a row. The Swabians also began the season with five defeats under Alexander Zorniger. Stuttgart have lost 18 games - a negative single-season club record.Stuttgart have conceded 72 goals this season. The only time they have fared worse defensively was in the 1974/75 campaign, when they conceded 79.Following relegation at the end of the 1974/75 season, it took two years for the Swabians to return to the top flight. They finished fourth in their first season back in the Bundesliga in 1977/78. Daniel Didavi will move from Stuttgart to Wolfsburg at the end of the season on a five-year contract. The midfielder scored nine goals in 23 games for 1. FC Nürnberg in 2011/12, when Wolves coach Dieter Hecking was at the helm.Didavi scored a brace in the reverse fixture (a 3-1 win for Stuttgart).Stuttgart's last win at Wolfsburg was over ten years ago. Silvio Meißner scored the only goal in a 1-0 win in December 2005.